Caradamom, often called the third most expensive spice in the world [after saffron and vanilla] is delicately harvested by hand. Caradamom is used widely for cooking in Sri Lanka, India and Iran. Sixty percent of the Caradamom supply is exported to the Arab world where it is used to prepare coffee. Paras purchases and distills entire crops, including the high-grade quality seeds normally reserved for spice markets. This process results in an oil of exceptional quality. The top note is radiant, original, green, fresh, herbal and aromatic. Still fresh and spicy in the middle note with a Cubeba note, the dry-down is woody [Cedarwood], aldehydic and substansive. Colorless to pale yellow colored liquid. 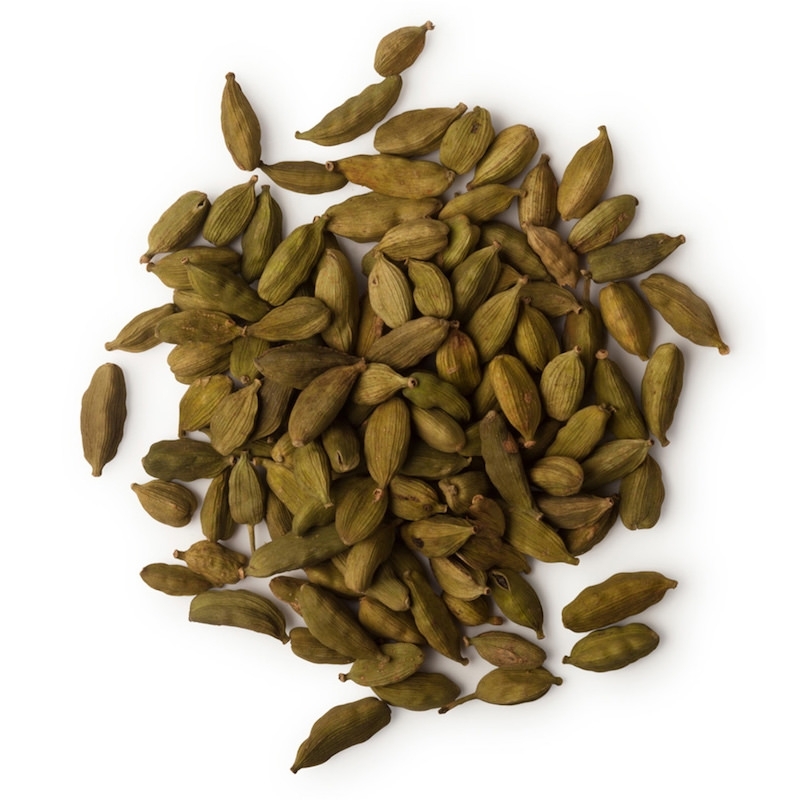 Cardamom seeds, with their sweet and spicy aroma, are used in aromatheraphy for their energizing properties.